Join ONA to take a tour of the world-famous Christmas lights around Naples on a famous Naples open air trolley. Bring your friends, favorite libations and holiday-wear! Please arrive at 6:45 to select your seat. We leave at 7PM sharp from the parking lot at Wynns/Ace Hardware on 41 between 1st Ave North and 2nd Ave North. 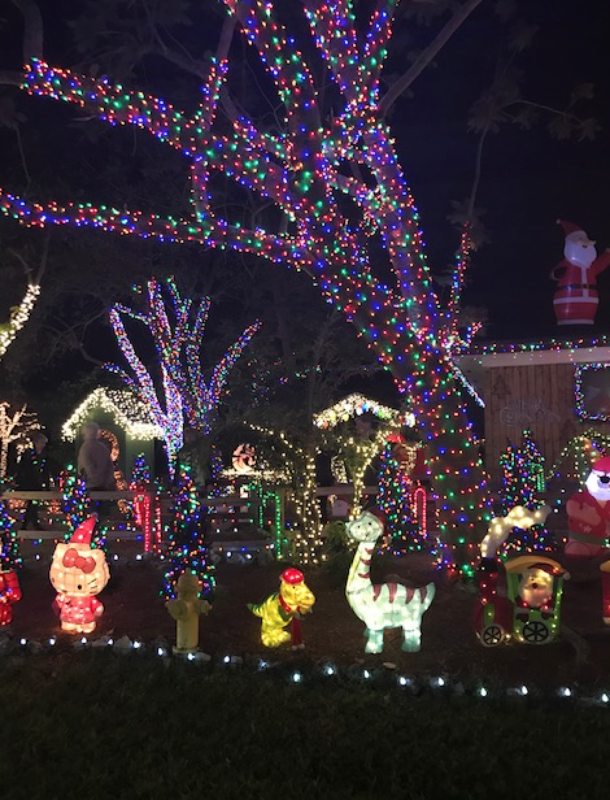 We will drive to the best Christmas tree light displays in greater Naples, and return to where we started at around 9PM. One of our most most popular events of the year! Space is limited so we encourage early registration! Event Cost: $20.00/person. Each person must be registered. Please register and pay on-line. to another party, but sorry, no refunds. Plastic cups are mandatory and glass bottles (wine/beer) are allowed if contained inside a cooler.